Around 3100 BC, a socioeconomic and political transformation took place in Egypt, whereby early upstream centres of culture were transformed into a larger territorial entity encompassing all Egypt. Most models of social change focus on upstream political developments in explaining this process, yet recent work shows the deltaic landscapes downstream to have been highly dynamic. 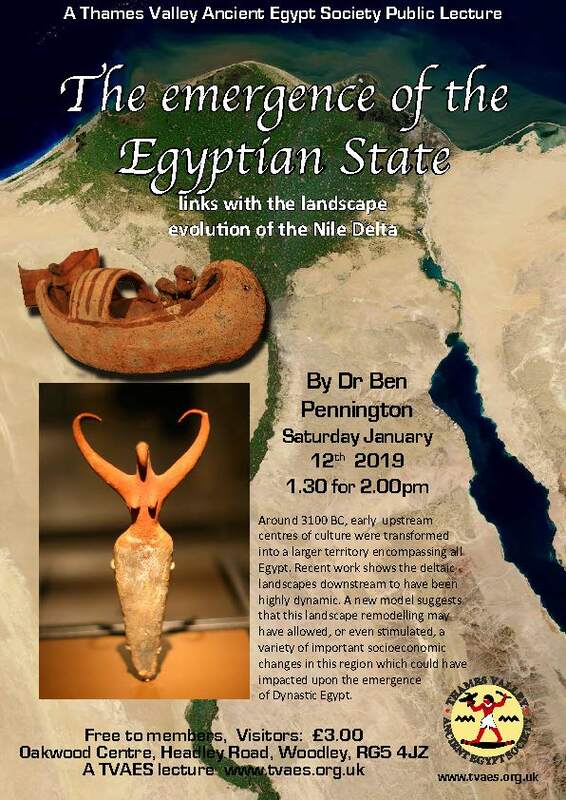 A new model presented here suggests that this landscape remodelling may have allowed or even stimulated a variety of important socioeconomic changes in the delta region which could have impacted upon the emergence of Dynastic Egypt.